Students in Prof. Pam Frederick’s News Literacy class toured two major news outlets in November. The students visited ABC News on Nov. 12 with Olivia Leach, executive assistant to the producer of World News Tonight with David Muir. 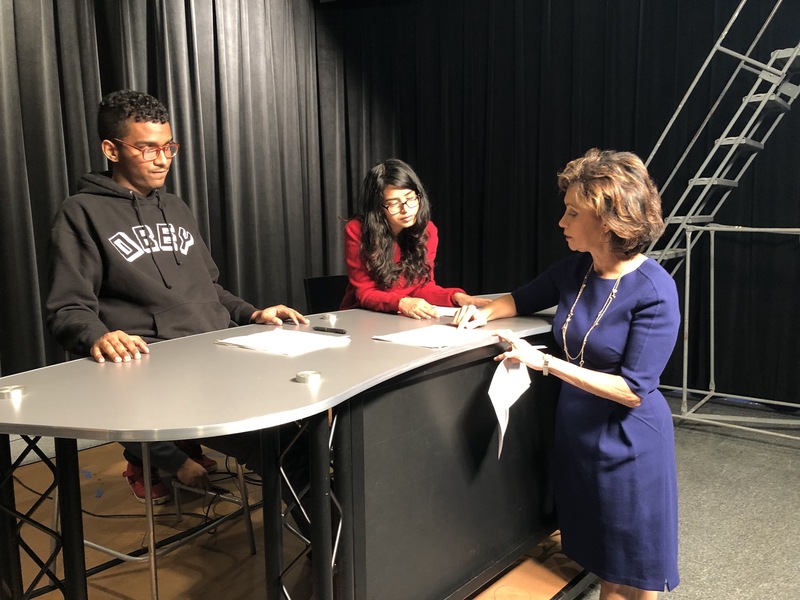 Leach, a CUNY Journalism School grad, walked students through the rim, the control rooms and the set of the show, explaining the rhythm of the work day for TV producers and the tensions involved in deadline work. 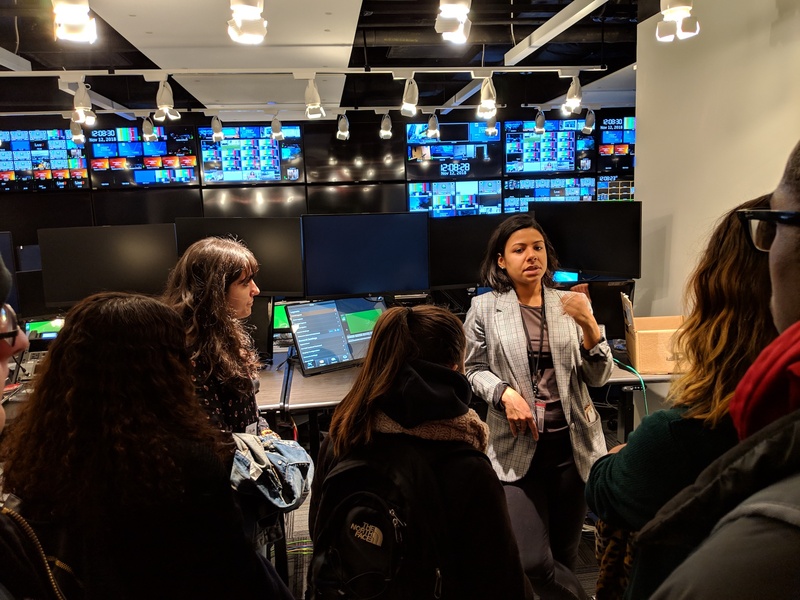 Hunter students visited ABC News with Olivia Leach, a CUNY Journalism School grad who serves as executive assistant to the producer of World News Tonight with David Muir. Leach also discussed the pressures of being exposed to the violence in today’s news, and the acceptance that it’s ok to cry sometimes. 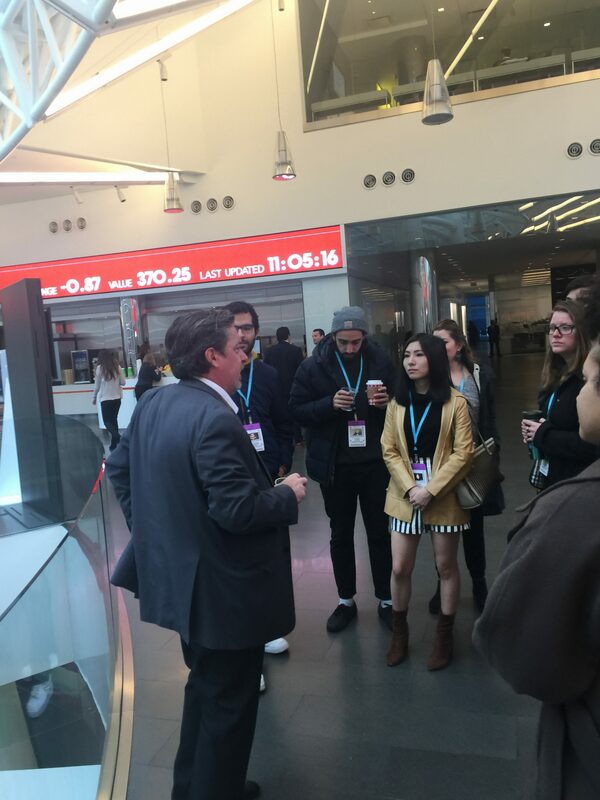 Students in the same class also recently visited the offices of media organization Bloomberg to talk to Mindy Massucci, head of global context for its new Twitter-exclusive news network TicToc. Veteran producer Massucci has teamed with Catherine Taibi, formerly head of social for Bloomberg, who also spoke to the students, to create this new outlet. Massucci explained that Bloomberg’s team of social curators — the social velocity team — not only follow what’s trending, but filter for authenticity with a formula for verification. Each report must have at least two confirmed sources that the Bloomberg network of reporters and editors trust; items are then color-coded red for B.S. (a technical term), yellow for not yet confirmed, and green for credible and ok to go. “I’d rather be the last one to the story and be the only one who got it right,” said Massucci.